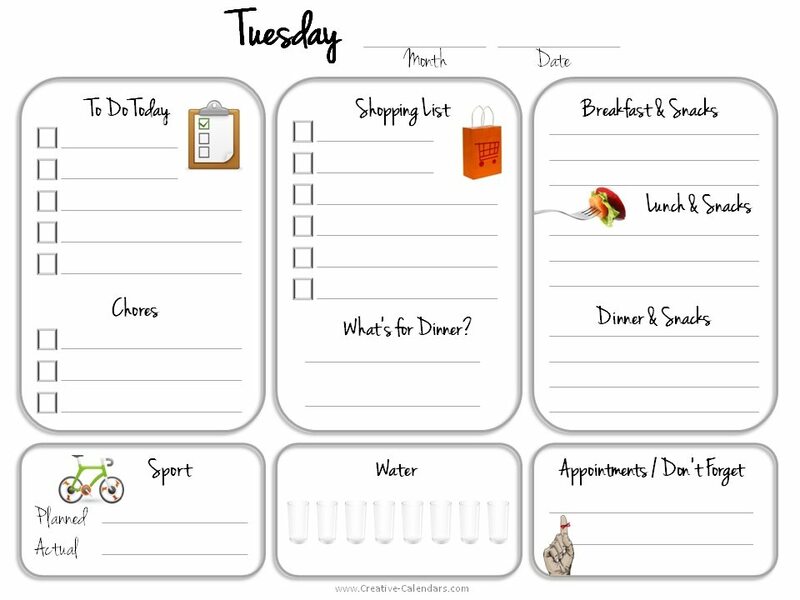 These daily planner will help you get organized and stay organized. 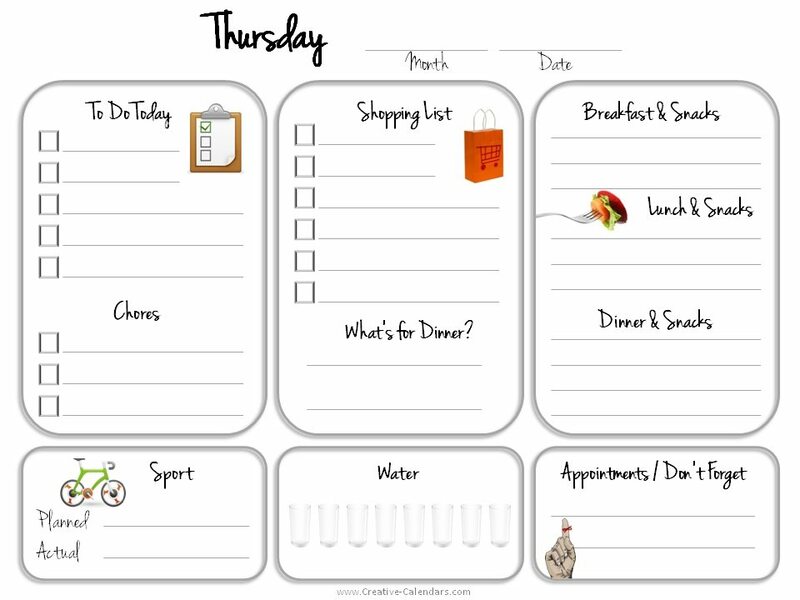 They will help you keep track of what you eat, how much you drink, your daily chores, your shopping list, your sport / exercise, any appointments that you have and even the meals that you plan to cook that day (including a shopping list in case you need to purchase anything to cook the meal that you planned). You will find yourself being more organized and getting more done each day! 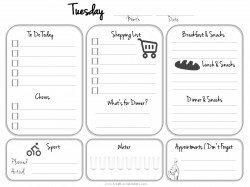 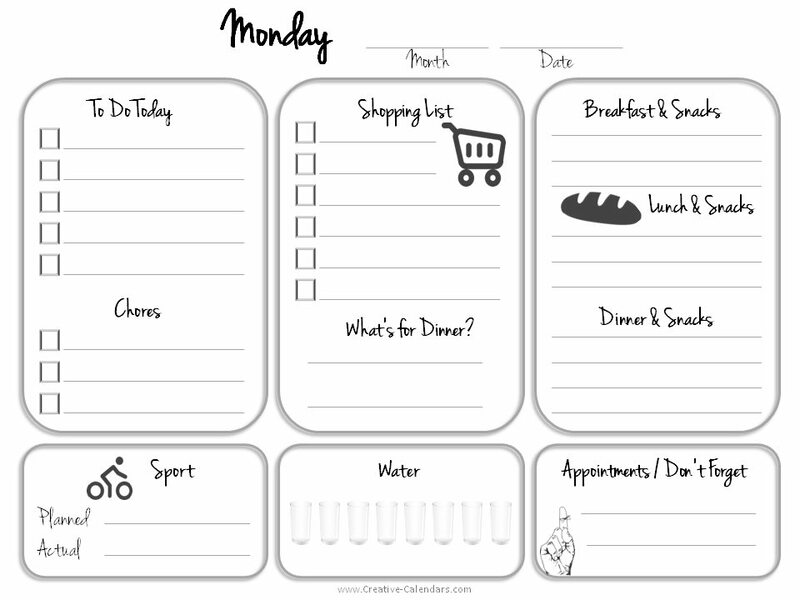 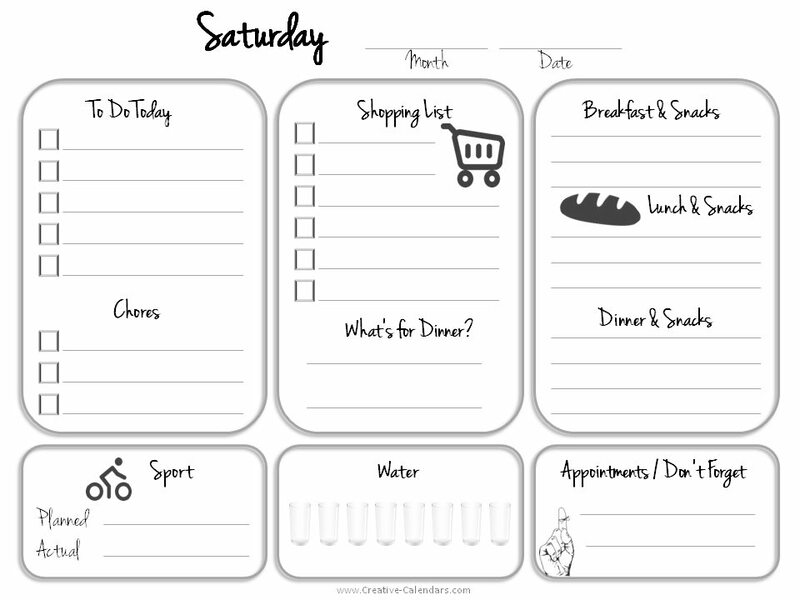 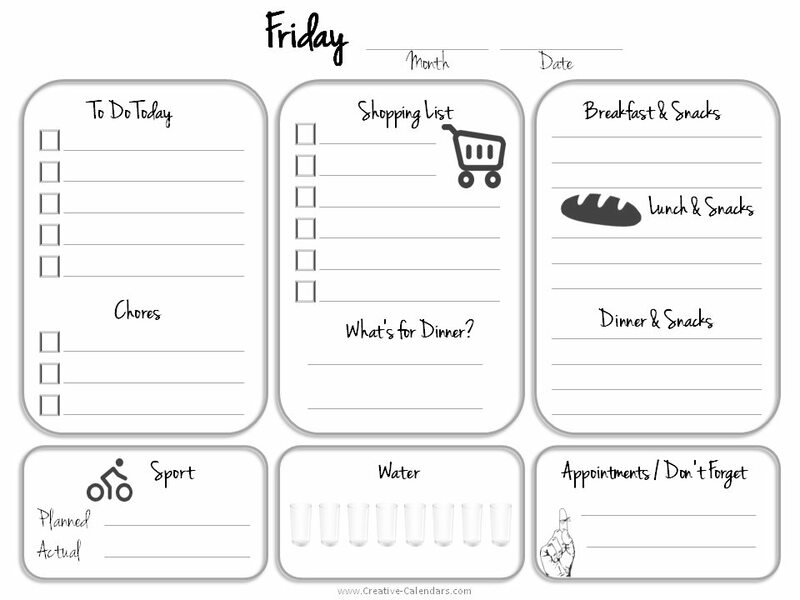 This daily planner template is available in three different versions: color, black and white and another version with a bit of color for those who want to save on printing costs but still want some color. 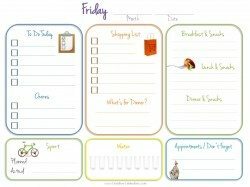 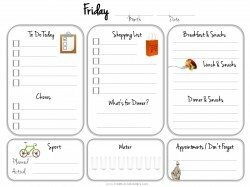 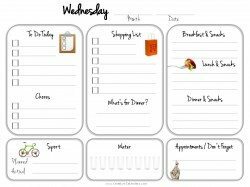 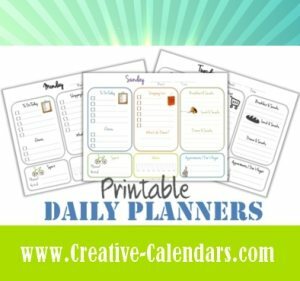 Scroll down to find the day of the week that you need and print any of the daily planner printables. 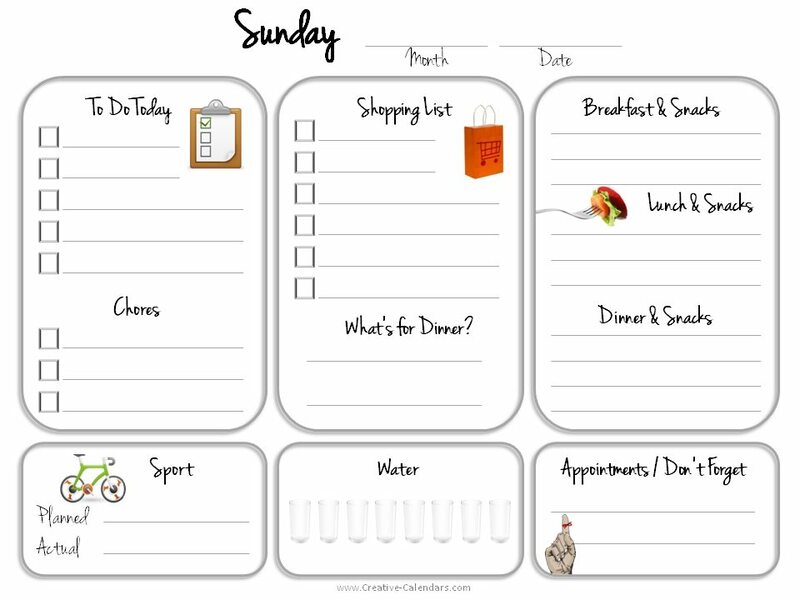 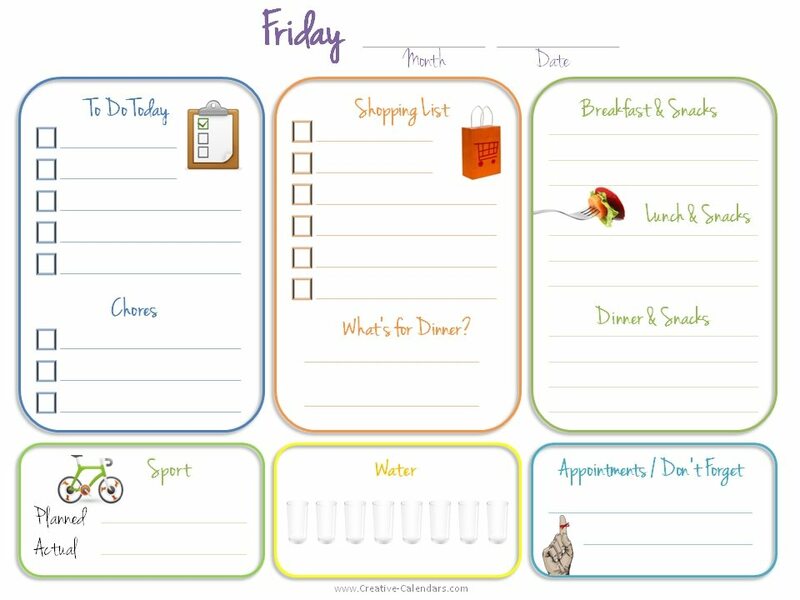 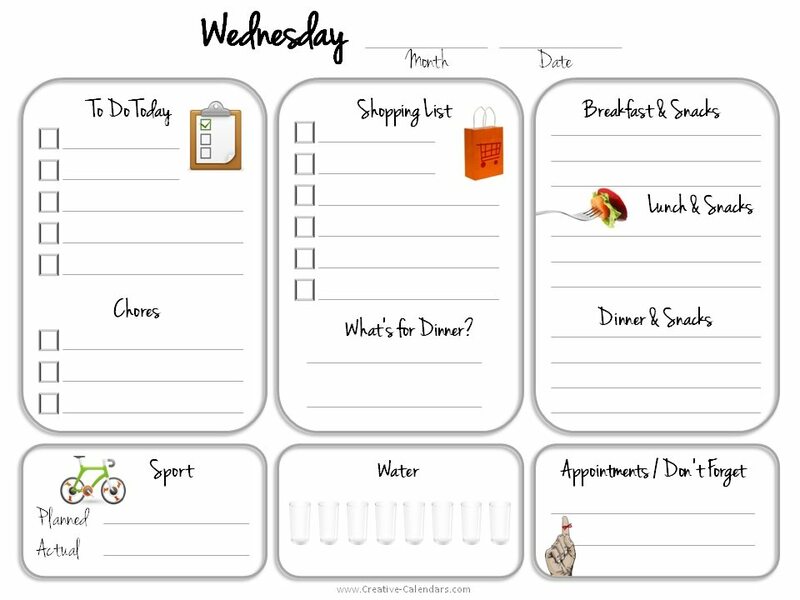 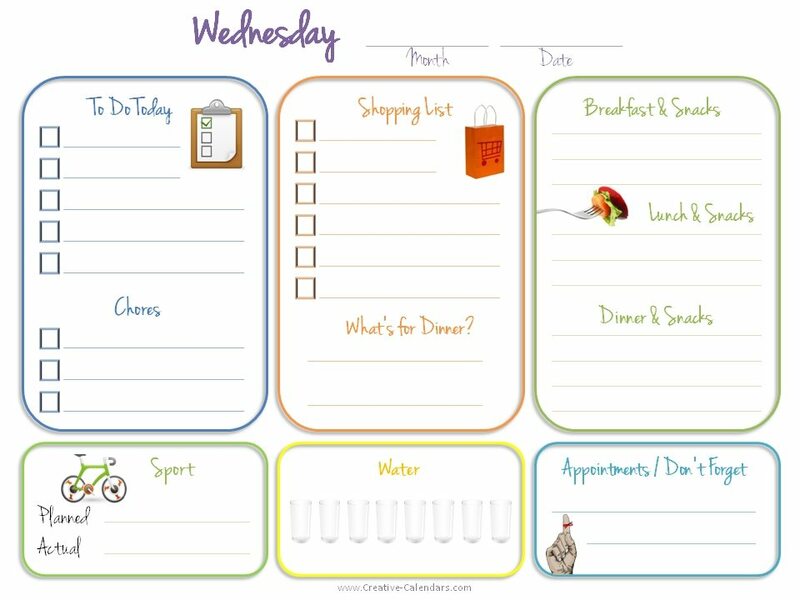 If you want to save ink and paper you can have your daily planner template laminated and then you can reuse it each week.